Yes my friends, I am talking about a Dhaba, which is a small road side restaurant offering quick service to truck drivers and people like me who can go on and on with my love affair with Dhaba food. Originally located on major highways, where they were supposed to cater to truck drivers on long distance travels, these dhabas have now become a popular option with students, professionals and even families. For students like us Dhaba was a god sent gift which not only served delicious food but also pocket friendly. 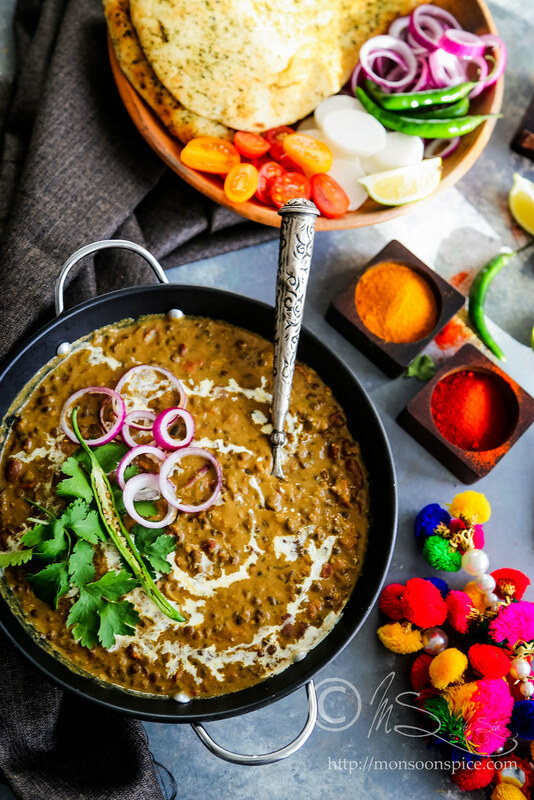 One Punjabi food I always loved is Dal Makhani, a celebratory dish enriched with butter and cream. The whole urad dal and red kidney beans simmered in creamy gravy of butter, onion, tomatoes and spices with a liberal dose of cream is something to die for. Butter, spices and cream??? Oh!!! Did I hear some grumblings from my weight conscious friends? 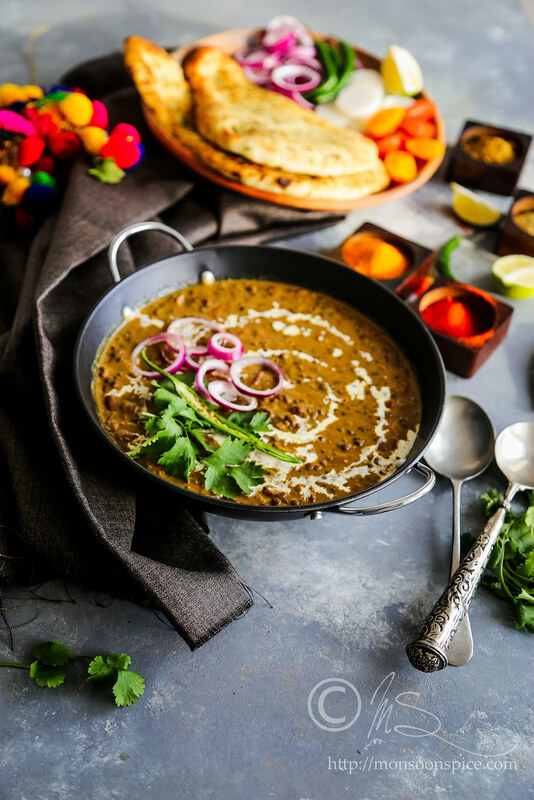 You can substitute the cream with yogurt and reduce the amount of butter to make healthier version of Dal Makhani, but then it wouldn’t be a luscious Dal Makani. Whenever I feel like indulging and forget about my expanding waistline, the first dish to cross my mind is this Dal Makhani. If you could pack warmth, memories and comfort into a bowl, this would be it! 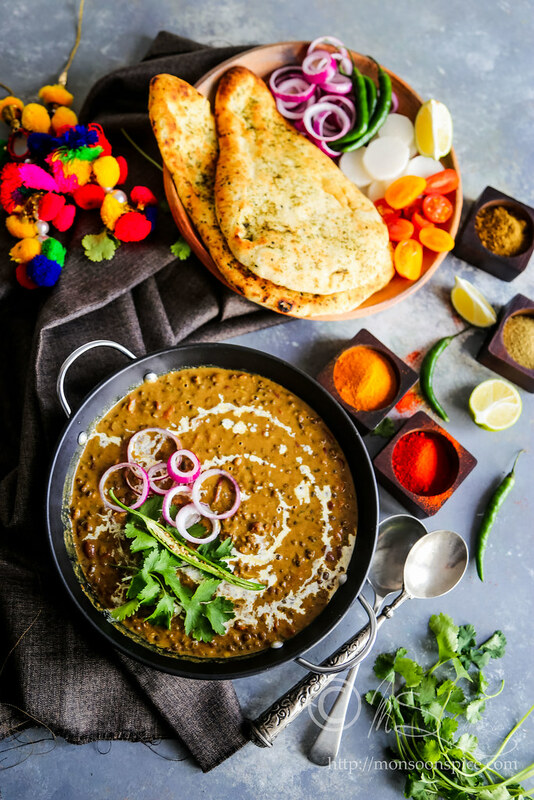 Slow cooked dal softened with a generous dash of cream and slab of butter, served with tandoori naan or jeera rice, this meal is the perfect mood elevator. My search for the origins and history of Dal Makhani lead me into very interesting story. It is believed to be the brainchild of Kundan Lal Gujral, founder of Moti Mahal chain of restaurants, who came up with the lip smacking recipes in a bid to make his ingredients last longer. Did you notice that I mentioned recipes, and not just recipe?! Well, this is the same man who introduced the makhani gravy that we are quite familiar with when we talk about Butter Chicken and it’s the same idea that revolutionised the way humble dal was cooked. The idea was triggered off when he invented the buttery gravy to serve the drying chicken tikkas hanging on the seekhs above the tandoor waiting to be ordered but would sometimes dry out in the absence of a refrigerator in the olden days. He came up with the brilliant idea of simmering the chicken in a luscious gravy of tomatoes, butter, cream and some spices to help them retain moisture, which gave birth to the much fabled Butter Chicken Curry. 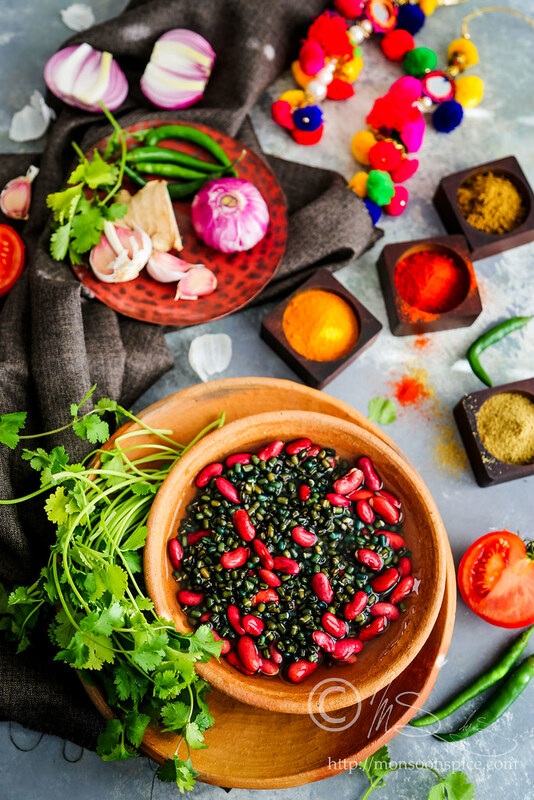 He applied the same recipe with his black urad dal, and gave birth to Dal Makhani too around the same time. Today Dal Makhani is not only a household name in the Indian subcontinent, but has proudly made its presence felt in the world culinary map. 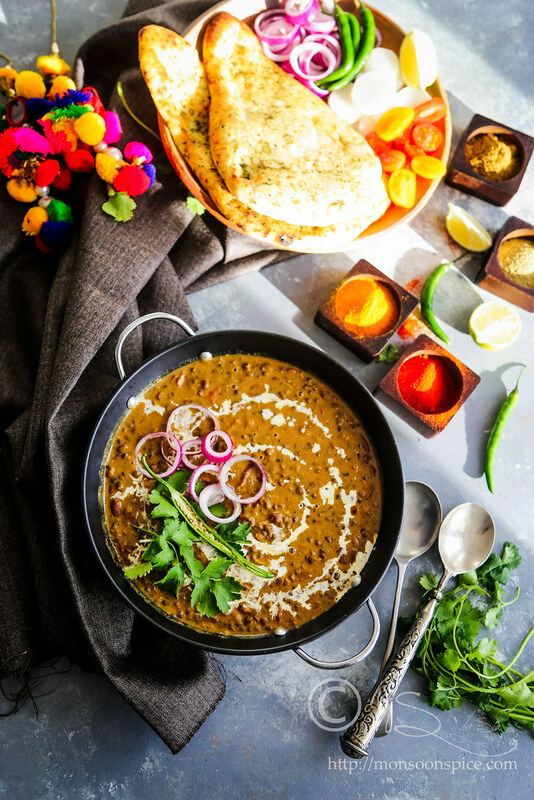 Dal Makhani's popularity is due in part to its versatility in a meal: the rich vegetarian dish can be served as a main meal, included as part of a buffet (thali), or used as an accompaniment to a meal. 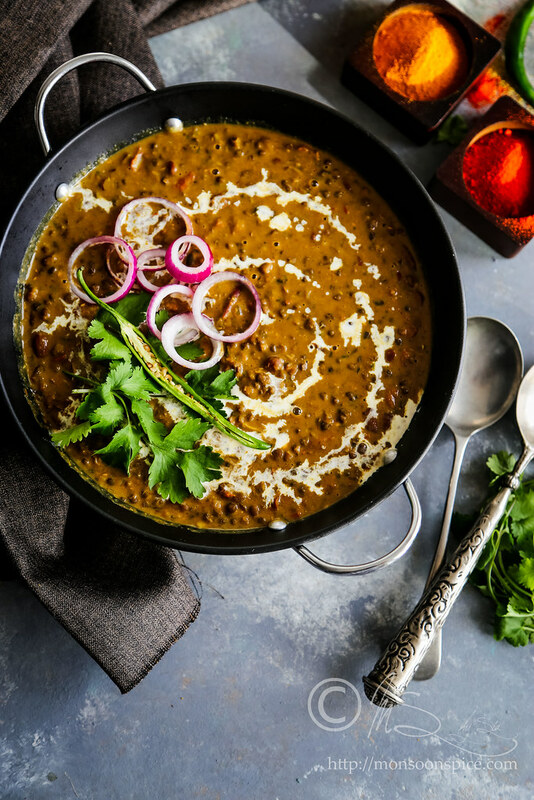 In India, soups and curries with a red or yellow lentil base are an important staple, however, due to Dal Makhani's rich texture and lengthy preparation process, it makes an appearance on homemade thalis for special occasions. 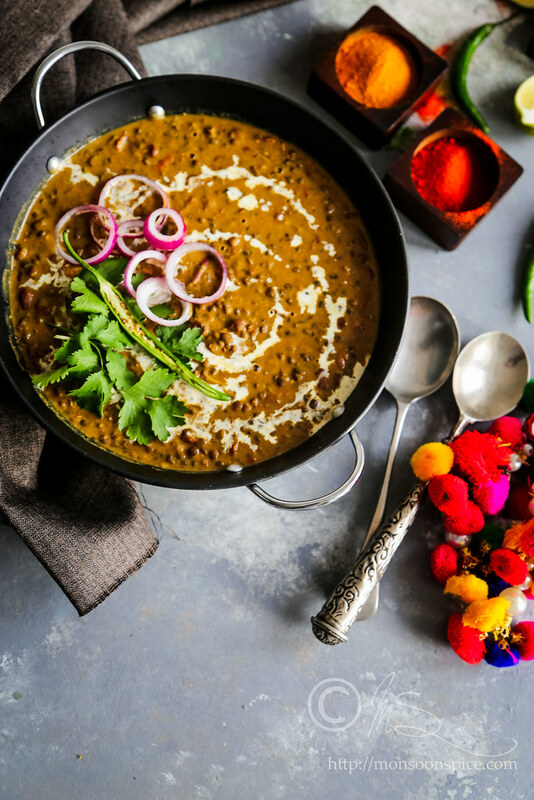 The traditional preparation of dal makhani involves a series of time-consuming procedures, which can take up to 24 hours to complete. With the availability of modern cooking equipment, namely electric pressure cookers and slow cookers, the preparation time of the dish has reduced significantly to 2–3 hours. Living in a fast paced world, I use my trusty stove top pressure cooker to cook the dals and let it simmer in butter rich onion and tomato gravy for half an hour or more depending on how much time or patience I have. But whenever I cook this creamy delightful dal, I make sure I cook enough to have leftovers for the next two days I find the flavours much better as all the ingredients blend well and mature after 24 hours of cooking. So I highly recommend to make extra quantity of Dal Makhani as it is not everyday you get to sit down to make the most delectable dish! Serving Suggestion: With Basmati rice or with Indian flat breads like tandoori roti, naan or chapatti. Wash and soak whole urad dal and rajma beans in 5 cups of water overnight. Next day drain the lentils and pressure cook with 4½ cups of water with ½ tsp turmeric powder for about 3 whistles or 15 minutes (approx). Let the pressure release completely before opening the lid. Cooked dal should feel soft to touch and easy to break when pressed between fingers. Strain the water and keep it aside. Lightly mash the lentils with a help of a back of the ladle or a masher and keep it aside until needed. While the lentils are cooking, peel and finely chop the onions. Finely chop the tomatoes, slit the green chillies and keep it aside until needed. If using fresh ginger-garlic paste, peel about 1 inch ginger and 5-6 large cloves of garlic and roughly chop them. With a help of a pestle and mortar, crush the ginger and garlic with a pinch of salt to paste. Keep it aside until needed. Melt 1 tbsp of butter and 1 tbsp of oil in a heavy bottomed pan on a medium flame. Once the butter melts, add cumin seeds and hing. When the cumin seeds start to splutter, add slit green chillies and ginger-garlic paste and fry for around 30 seconds. Add finely chopped onions, ¼ tsp salt, 1 tsp suagr and sauté them over a medium heat for around 2-3 minutes till they turn golden brown. Salt helps to speed up the cooking and sugar helps in caramelising the onions. Add coriander powder, cumin powder chilli powder, turmeric and crushed kasuri methi and sauté it for a minute or so till you get nice aroma. Mix in finely chopped tomatoes, pomegranate seed powder and sauté it for around 3-4 minutes or until tomatoes turn pulpy and release their juice. Mix the cooked dal with about 2-3 cups of water (use the reserved dal water also). Add remaining butter, salt to taste and mix well. Cover the pan and cook on a medium-low heat for about 15-20 minutes till the gravy starts to thicken. I have found that the more time you cook the dal, tastier it is to eat. Adjust the seasoning as per your preference. Make sure you stir the dal half way through to prevent it from burning. Add little more water if you find it too thick. Mix in the cream or yogurt, garam masala and cook again for another 5-10 minutes on a low heat. Finally, add finely chopped coriander leaves and mix well. Cover and let it rest for 10-15 minutes for the flavours to blend and mature. Serve this delicious buttery Dal Makani with Tandoori naan/roti or with some Jeera rice and enjoy! Soaking the dals overnight helps in speeding up their cooking time. So make sure you soak them for at least 6-8 hours (preferably overnight). 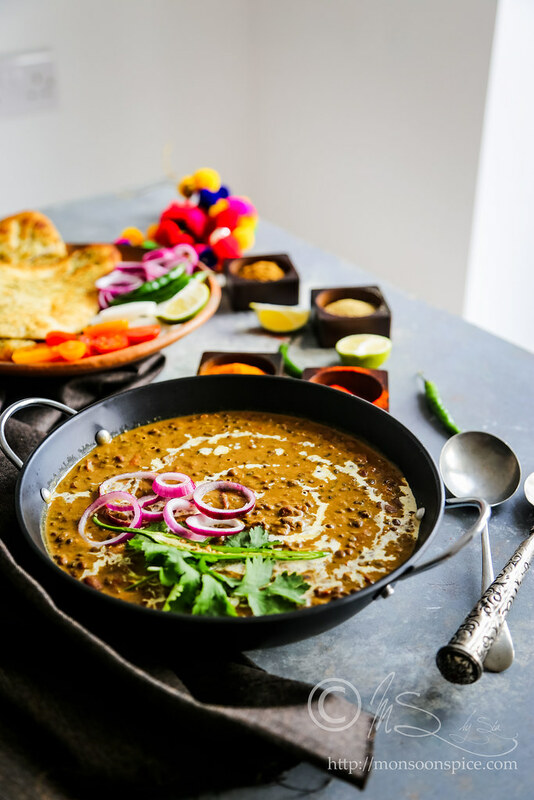 You can substitute the cream with yogurt and reduce the amount of butter to make healthier version of Dal Makhani, but then it wouldn’t be a luscious Dal Makani. Whenever I cook this creamy delightful dal, I make sure I cook enough to have leftovers for the next two days I find the flavours much better as all the ingredients blend well and mature after 24 hours of cooking. So I highly recommend to make extra quantity of Dal Makhani as it is not every day you get to sit down to make the most delectable dish! Oaky! I am here but are you going take of the post after I comment?! Hahaha!! I have NEVER seen and been to a Dhaba before in my life.My brother used to go to Delhi often and he would tell us about it, may be one day when we visit Delhi. LOL at all diet conscious peeps cribbing about butter and cream.I like to be little plumper side myself.You know, I don't have one single wrinkle on my face! True!! Have a great weekend Sups.Hugs. it's okay to not watch weight for this kind of dish.well who can resist the rich creamy dal makhani. Great post, so much information. Love the Dal too, never cooked Dal Makhani before, I am looking forward to trying. Lovely write and equally lovely recipe, Sia. Those pooris look yummy! yes, dhabas are good, aren't they-the food is great :). This is lovely... I really need to get my bean intake up! 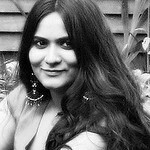 I love eating at dhabas too whenver I visit India since I love punjabi food - the food tastes so authentic there. Just read your reply to my comment on your last post. 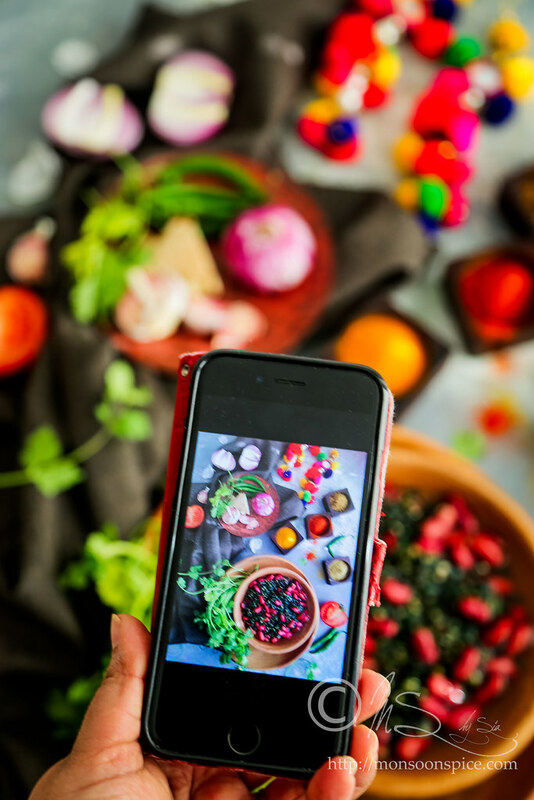 Thanks for your encouragement but I cant even dream of participating in any of the food events yet - cooking for me is a chore unlike you all who love cooking and sharing your wonderful recipies and I am just learning to cook food from all you wonderful and enthusiatic food bloggers ! I make daal makhani very often as my kids love it with hot rotis :-) And what is punjabi food if it doesnt have richness of butter, ghee and cream ! Forget calories.. Dhaba food is atrociously tasty! I too go with Asha's first line LOL!! just kidding. I too ve never been to Dabha. My hubby says it has a very spicy food. your pics are drool worthy. makes me hungry. Sia, just the dish for a rainy weather. Looks wonderful, your story about Dhaba made me long for the road side poratta stalls that are comming in Tamilnadu. I have never cooked with whole Ural Dal, but love Red Kidney beans. Should give this a try. 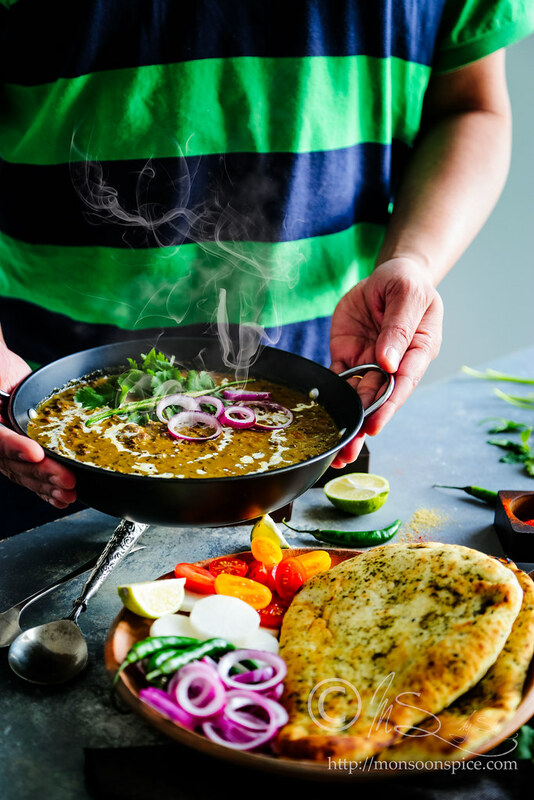 I'm crazy, I'm up at 5.30 am on a weekend, reading your lovely write up and proceeding to read the recipe and now badly craving for dal makhani!!! My tummy is growling for some just now!!!!!! Nice pic....good recipe. I made Dal Makhani too thinking that I'd send it in as my entry for RCI, but somehow I never got around to posting the recipe. You are right! Dhabas are more interesting. I had been there once during my trip to Pilani. I loved it. My dal makhani both times I made it turned out grey and unattractive, and as usual, it was a humongous amount. Never made it after that! Yours looks nice. You know I have often seen these kind of eateries in Hindi movies. But never have actually been to one. I don't know but one is not sure what the kitchen looks like you know. But Sia, your version is brilliant and I think I will try and get that Dhaba flare at home on the weekend! Sia, your write-up was really good. Dal makhani very tempting. I just loved your second pic! Hi, Dalmakhani looks superb. Never tried. I will try this very soon. Huge information. Thanks for sharing and have a great weekend. Hey Sia, Great pictures. This is the same way I make it and it taste awesome. Loved the post. dhaba breathless, indeed. i love these places. i've seen a truck driver down 3 glasses of lassi and two large bowls of chicken curry, plus countless rotis. then he grinned and told me, he's going to be driving non-stop from bombay to hyderabad - after a nap, of course. Great recipe and after reading abt your dhaba experience I felt I was reading about my own experience. My friends and I used to go these dhabas on kanakpura and there is another one called rinku dhaba near nandi hills. Ah! those good ol days (sigh). Your Dal Makhani looks yum! No fancy restaurant can ever beat the earthy, homely taste of dhaba food. The dal is looking fabulous. man, oh man, that daal and puri look delicious! thanks for your message! I haven't been getting home until 9:00-10:00 at night..been real busy with both the businesses and such. Hi Sia, Dal Makhani with Poori......yummm. Your pics are wonderful. LOL about those diet concious comments. I dont think I can ever think about dieting. How can I miss all those delicious food. Have a gr8 weekend Sia. I miss dhaba food in US, but in CA we use to go to chat house and it was close to dhaba food taste. :) Yummy dal makhani Sia. Oh.. What an amazing spread Sia. The first thing that came to my mind was the dabba place that we ate at in the middle of the hills on our way to the top of Kedhar. The taste still lingers.. the cold night.. with hot chilly curry and naan.. and a campfire. It was truly a wonderful night. Thanks for the recipe. 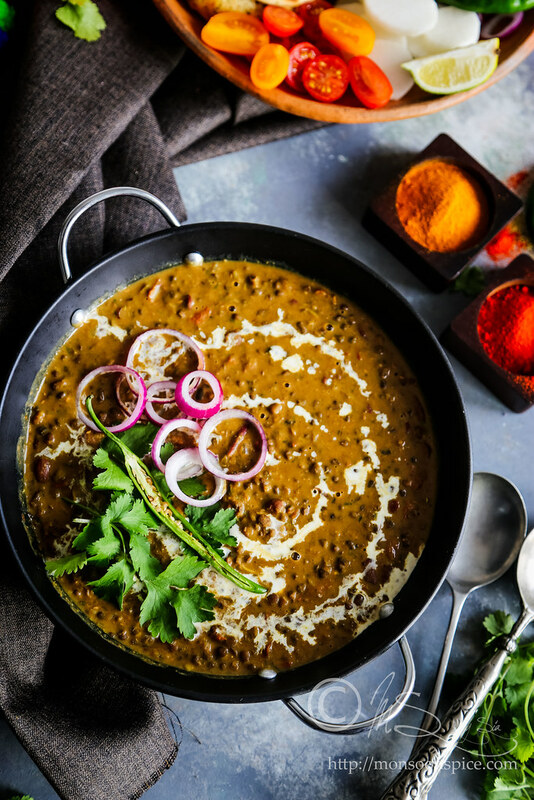 Your Dal makhani looks delish! NICE! Quintessential comfort food. I am niw hankering for some Dhaba food. Btw, you have been tagged! oh those parotta stalls... i too love them indo:) this was the first time i cook this dish with whole urad dal. its got very nutty and creamy flavour. so which one do u think is better? this way or tarla dalal's? i got to check mrs. dalal's recipe. u know what i have not seen any proper dhabas in b'lore. i got to check the ones u mentioned next time i visit. girl, u sound just like me:) good old hostel days n eating with friends @dhaba. i guessed as much. sounds like u r really busy these days. tc my dear:) will mail u soon once i finish all my training and workshops. Great entry for RcI. Dal looks creamy !!!! Thanks for sharing. Dal Makhani looks perfect ..Dhaba food tastes great Supriya. I once had dinner in a dhaba in delhi and loved it. This was a wonderful recipe. If you are looking for some more Dal Makhani Recipesthen check out this link. Every now and then I use your recipe to cook it for my wife. And that twinkle in her eye after the taste is something I have started yearning for. Thank you for this and all the otherlovely recipes.